This year, like never before, Brazil’s presence at the Frieze art week in London was solid and influential. Frieze Art Fair, one of the largest contemporary fairs in the world attract not only high profile collectors, curators and head of institutions on top of the public, it also attracts other art events and fairs to happen during the same week, turning London into an art capital of the world for a week. Brazil is hot topic in several aspects of this immense wealthy country and it is now a constant source of international interest for the arts market. 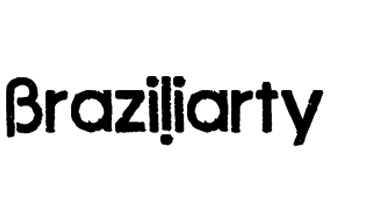 In UK, a Brazilian dedicated edition of Art Review magazine was launched in September, 11 Brazilian galleries were present in three of the many art fairs happening this week. 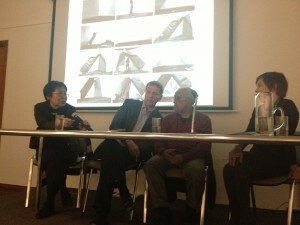 Several brazilian artists were represented by international galleries, two Brazilian curators played important roles, an astonishing retrospective show at Tate Modern with Mira Schendel, Beatriz Milhazes live in conversation and other Brazilian artists, specialists, curators and collectors were in London. At Frieze London, the contemporary side of the fair, some of the most established Brazilian galleries such as ‘A Gentil Carioca‘, showed a conceptual installation by Hélio Oiticica and Neville D’Almeida, called Cosmococa and the artist Cabelo hand painted panels at the fair on stretch metallic ‘lame’ with animal printed fabric on the edges, in silver representing the Moon and golden for the Sun. Fortes Vilaça showed the minimal conceptual work of Iran do Espírito Santo, José Damasceno and photographer Mauro Restiffe. The ‘Countess’ of Brazilian contemporary art Luisa Strina with the only Brazilian gallery that sells more abroad that in Brazil, showed the work of Antonio Manuel, Caetano de Almeida, Cildo Meireles, Federico Herrero, Hélio Oiticica, Juan araújo, Laura Lima, Lygia Pape, Marcius Galan, Marepe, Matias Duville, Mira Schendel, Nicolás Paris, Pablo Accinelli, Pedro Motta, Pedro Reyes, Renata Lucas, Tonico Lemos Auad and a series of small works by Fernanda Gomes, whose work was the cover of ArtReview Magazine in September. The sculpture Discrepâncias com T.P. (II), 2012 by Leonor Antunes was an attractive entrance into the stand. Mendes Wood showed the work of Catalonian artist Daniel Steegmann Mangrané, whislt the work of Sônia Gomes, who they represent, was found at Lehmann Maupin, where also Os Gêmeos had their only piece on the fair being sold on the second day for around U$100,000. Vermelho, another established gallery had a large stand with the artists Chiara Banfi, Marcelo Cidade, Lia Chaia, Fabio Morais, Guilherme Peters, Iván argote, Nicolás Bacal, Nicolás Robbio. 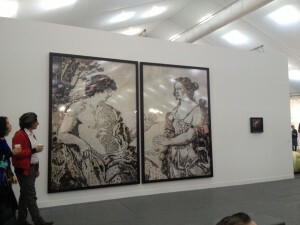 Pace Gallery sold the two Vik Muniz photographs Apollo and the Cumaean Sibyl, after Giovanni Domenico, 2007, sold for $80,000. Other very important galleries such as Victoria Miro had the ‘titles’ of Adriana Varejão right on the entrance of the stand. Rodrigo Moura, the former curator and head of collection and projects at Inhotim in Brazil, co-advises for the 5th year the section ‘Frame’ including the gallery Jaqueline Martins exhibiting for the first time at Frieze. The gallery showed the work of one of the pioneers in collective work in Brazil, the artist Genilson Soares with the installation ‘Uma prancha encostada na parede’ (Board leaning on the wall), 1973. 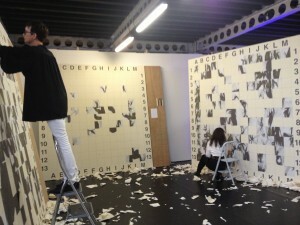 At Frieze Projects the artist Rivane Neuenschwander’s installation felt like the game ‘Battleship’, with panels being ripped by workers, with five layers of paper to discover a red ‘X’. All performance was being filmed to continue a work by the artist from 2010 called Conversations. At Frieze Masters, the ‘Spotlight’ section was advised by Brazilian curator Adriano Pedrosa and counted with four Brazilian galleries and one international gallery dedicated to a Brazilian master. Galleria Millan, known for the work with modern artists presented a selection of Anna Maria Maiolino including S.O.S. in the tropic of Capricorn, from the Mental Maps series, 1974. Luciana Brito showed Liliana Porter, trespassing the edges of the photographs, teasing sense of humour. Galeria Berenice Arvani, usually specialised in the constructive Brazilian artists showcased the distinct work of Rubens Valentim, the Brazilian northeast artist who has exhibited internationally on the 50’s and 60’s, whose work explored the afro Brazilian symbology through the religious icons. Nara Roelser had a wonderful display of Julio Le Parc’s works, daringly innovative for the Frieze Masters, with light and kinetics attracting attention from the public. Lygia Clark, one of the most important artist of the 50’s and member artist of the Grupo Frente (formed in 1953) and the Neo-Concretist Manifesto (1959), also worked extensively in Europe as an artist and teacher, later developing a keen interest in the healing and therapeutic potential of art. Clark’s was showcased by Alison Jacques Gallery showing mainly the studio work of the artist and exhibiting, for the first time, the 3 dimensional studies for Clark’s well-known Trepante (Grub) and Casulo (Cocoon) sculptures, are shown alongside the studies, maquettes and relating sculptures for her Bicho (Creature) series. Other artists represented by international galleries include, Antonio Maluf at Dan Gallery and Eric Franck Fine Art with photographers Geraldo de Barros, Thomas Farkas and Gaspar Gasparian and two items were sold for a museum with an announced price of U$15,000 Gaspar Gasparian. 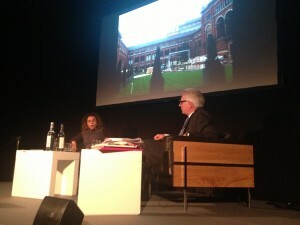 Frieze Masters talks opened with the encounter of the high selling artist Beatriz Milhazes and the Director of the Victoria & Albert Museum, Martin Roth. Meeting on the previous day on a blind date set up by Jasper Sharp, curator of the Frieze Masters talks, they walked through the museum together picking up objects that were relevant for Beatriz and her references. On the talk, they spoke about her art educations in museums and how changing it was for her career, the discovery of museums outside Brazil. 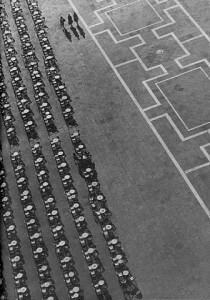 At Moving Image fair, Galeria Pilar presented the 10 minutes long, dark video of the artist Luiz Duva. Innerself, 2012 “is a study on sensory narrative that makes us face the pulse, the contours and the vibration of an imaginary town/body, a videographic city”. With the so many satellite events, highlights to the tour of Mira Schendel Exhibition at Tate Modern by Tanya Barson, curator of international art. The exhibition shows all phases from the artists in Brazil, her endless questionings about identity and placement through study books to the ink work on rice paper. Another informative event was the Panel Discussion: Brazil vs. 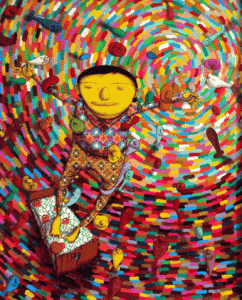 UAE., produced by Latitude (international promotion project for Brazilian art Businesses in partnership between Apex-Brasil (Brazilian trade and investment Promotion agency and the Brazilian association of Contemporary art ). The talk happened at David Roberts Foundation in Camden and aimed to compare two major rising art markets, however, it was proven that from its distinct way of evolving, the two areas have more to learn with each other’s growth than to be compared. The discussion was chaired by Anders Petterson, Managing Director of Art Tactic and having as panelists Latitude’s research coordinator Dr. Ana Leticia Fialho and Alia Al Senussi, art advisor and patron from the Middle-East. At the Embassy of Brazil in London the talk Individualidade Coletiva [Collective Individuality] with artists Genilson Soares, Lydya, and Isobel Whitelegg, curator at Nottingham Contemporary, was an introduction the history of works of Collective groups in Brazil, a practice that is highly popular until these days. Even at the very well attended party of ArtReview at the ICA, the Brazilian singer Cibelle shook the grounds making all art posers, loose their waist and break down the hair spray.